It has beautiful variegated foliage. It flowers mid to late Summer with white flowers. Can tolerate mild frosts. Low maintenance and drought hardy plant once established. 3L bag. Grass. H:30cm W:30cm. 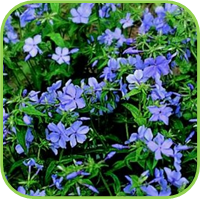 Small green leafed spreading ground cover with masses of blue flowers in spring. 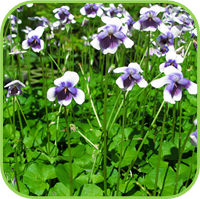 For magnificent early spring color this hardy little ground cover is perfect. 3L bag. Ground cover. H:15cm W:15cm. 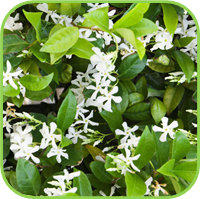 Compact clump-forming plants with bright green foliage and bell-shaped flowers along tall, strong stems from early spring to late autumn. 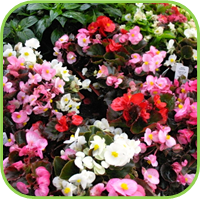 Prefer moist well composted soil. Soft pink with a white throat. Light purple with a white throat. Cream and pink flowers with pink striped throat. 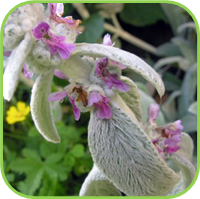 Reminiscent of Lavender, this beautiful grey, lace leafed sage that bears masses of small blue flowers all summer is a wonderful addition to any garden. 3L bag. Perennial. H:60cm W:40cm. Garden writers have already picked up on this innovative black petunia and driven up consumer demand. 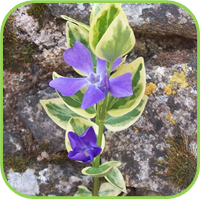 The upright, mounded plants are early to flower, have a tightly branched habit, and are filled with colour all season. Striking multicolor blooms combine shades of violet, yellow and white with a deep purple throat. A real stunner in beds and containers, on its own or in combinations. Phantom shows off a black base colour with a distinctive yellow star pattern. This distinctive petunia adds a stylish and sophisticated look to mixed containers, with each of the dark purple blooms showing off a cream white star pattern. 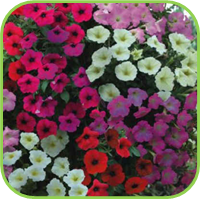 Petunia Rhythm and Blues is a heat loving variety with a mounded spreading habit, and is covered in eye catching blue flowers with a distinctive white edge. 17cm Pot. Ground cover. H:30cm W:30cm. 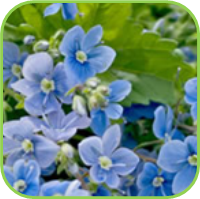 An outstanding low clump-forming plant with narrow green leaves and a magnificent show of sky blue flowers on long stems in early spring and early summer. 3L bag. Ground cover. H:20cm W:15cm. 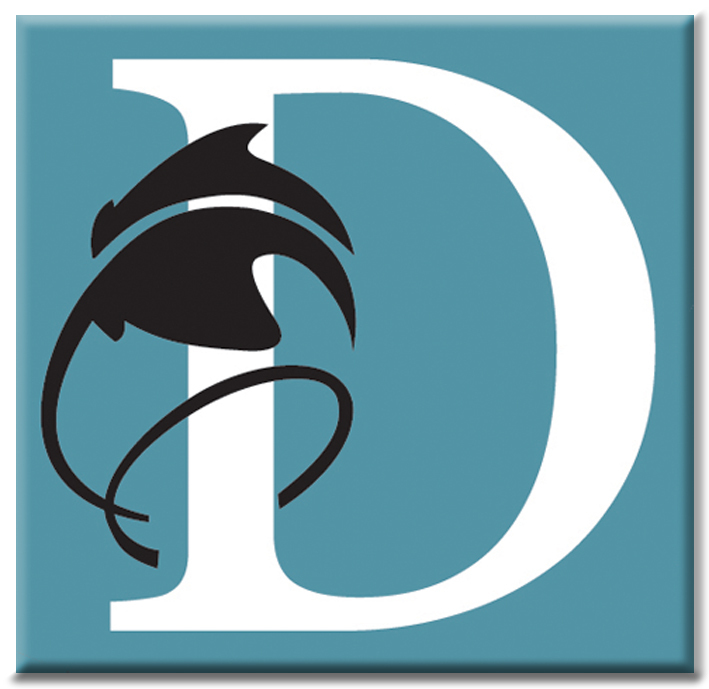 A fruit-bearing deciduous shrub or small tree growing between five and eight meters tall. 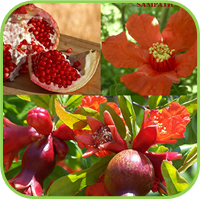 Pomegranates have a high anti-oxidant (citric acid) content and there is an increasing demand for it due to the associated health benefits. 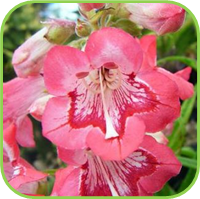 Easy to care for and drought tolerant once established. 4L bag. Shrub. H:6m W:2m. Uniquely trailing growth habit with masses of blue flowers. 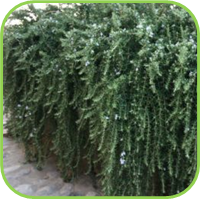 Ideal for landscaping against embankments, in containers to cascade over the side and in hanging baskets. 4L bag. Ground cover. H:30cm W:spread. 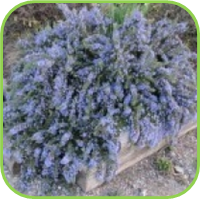 An herbaceous, drought resistant shrub with aromatic needle-like thin green leaves and blue flowers in summer and autumn. 4L bag. Shrub. H:70cm W:70cm. 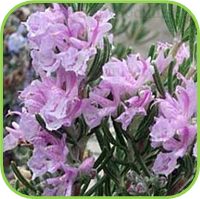 An herbaceous, drought resistant shrub with aromatic needle-like thin green leaves and pink flowers in summer and autumn. 4L bag. Shrub. H:70cm W:40cm. 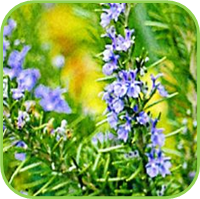 An herbaceous, drought resistant shrub with aromatic needle-like thin green leaves on tall straight stems and blue flowers in summer and autumn. 4L bag. Shrub. H:70cm W:70cm. Bearing white flowers on striking silver-green foliage. 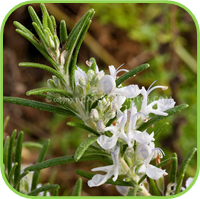 Use in the same way as ordinary Rosemary. 4L bag. Shrub. H:80cm W:80cm. 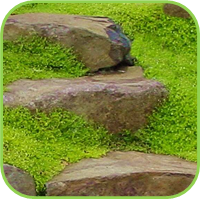 Hardy, dark green tuft forming moss-like ground cover. Small white flowers in summer. 3L bag. Ground cover. H:10cm W:20cm. The medicine chest of the herbal world. A tall shrub bearing white, lace-like flowers and black berries. 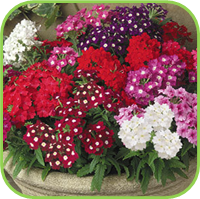 Ideal for attracting butterflies and birds to the garden. Seasonal pruning will encourage bushy and compact growth. 4L. Shrub. H:4m W:2m. flower spikes with purple flowers in summer. 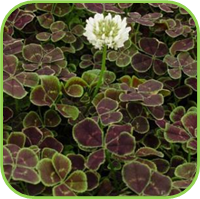 Great for contrast planting. 3L bag. Ground cover. H:30cm W:30cm. 4L bag (with stick). Ground cover. H:30cm W:50cm. Purple shamrock. 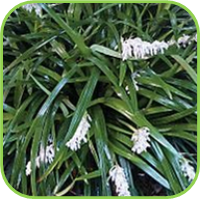 Excellent low spreading self-rooting ground cover with deep purple and green foliage and white pompom flowers in summer. 3L. Ground cover. H:15cm W:20cm. Upright, compact growth habit. Tuscany loves it hot and dry. 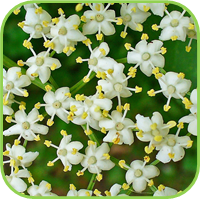 It is a full, bushy plant, which produces a mass of flowers in eye-catching colors. 3L. Perennial. H:15cm W:115cm. Big, yellow veined leaves with blue flowers. Cream and green variegated leaves with blue flowers. Small leaves with blue flowers. cover with glossy dark green leaves. Ideal in places where quick cover is required. Prune regularly to encourage thick coverage. 3L. Ground cover. H:25cm W:spread. of blue and white bicolor flowers all year round. The flowers are not edible. 3L. Ground cover. H:30cm W30cm. 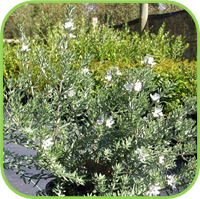 A compact, drought resistant plant with small grey needle leaves and tiny flowers almost all year. Responds well to shaping. 3L. Shrub. H:80cm W:80cm.